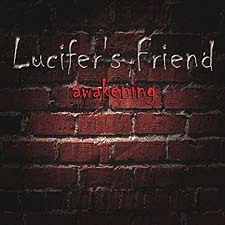 Lucifer's Friend, for my money, were one of the first true metal bands of the 70's. Their debut self-titled album is pure metal. Not thrash, not hate, not BS attitude, and not stupidly simple three-chord progressions. The album contained MUSIC, real music, in the style of the 1970s that was (and still is) called "heavy metal". 40 years later this CD still out-rocks most of the cr*p on the market today! Which is why I was very excited to learn that Lucifer's Friend had reformed in 2015, some 20+ years after they last played together! With that aforementioned self-titled debut having made them famous among connoisseurs of 70's metal / hard rock, they most definitely pioneered the prog rock genre. Although, one interesting thing to remember is the band produced 11 albums, and every single one of them was done in a different style! Which means that their first album was their only heavy metal album, even though a few tracks on the others albums might qualify as "metal".